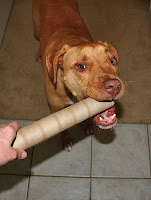 Leopold's Crate: Paper towel rolls: a cheap and fun activity you can give your dog! 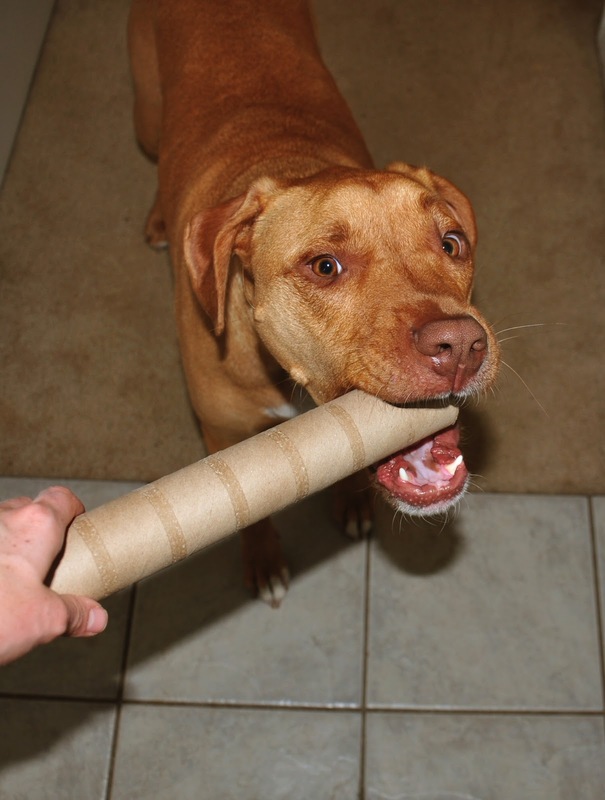 Paper towel rolls: a cheap and fun activity you can give your dog! Leopold loves to shred things. When he was little, he would sometimes try to shred things that he shouldn’t, like my file folders and their contents. Yikes! As a way to stop him from shredding my stuff, I tried to keep my shreddable stuff out of reach (a dog can’t get into trouble if there’s not an opportunity to!). When I did catch him shredding something that he shouldn’t, I told him no and then redirected his shredding behavior onto something that was appropriate. 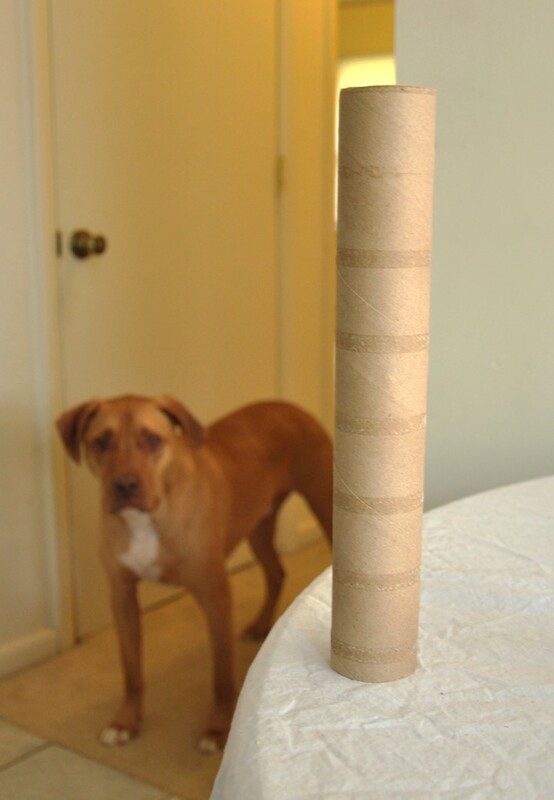 I would give him paper towel rolls instead! By redirecting his behavior onto something he was allowed to shred, I kept him from going off to look for other things to do (ie, finding something else of mine he shouldn’t be chewing on) while also encouraging him to be active and have fun! Another perk is that paper towel rolls are one of the cheapest toys I’ve every come across.Paper towel rolls are now one of Leopold’s favorite toys. 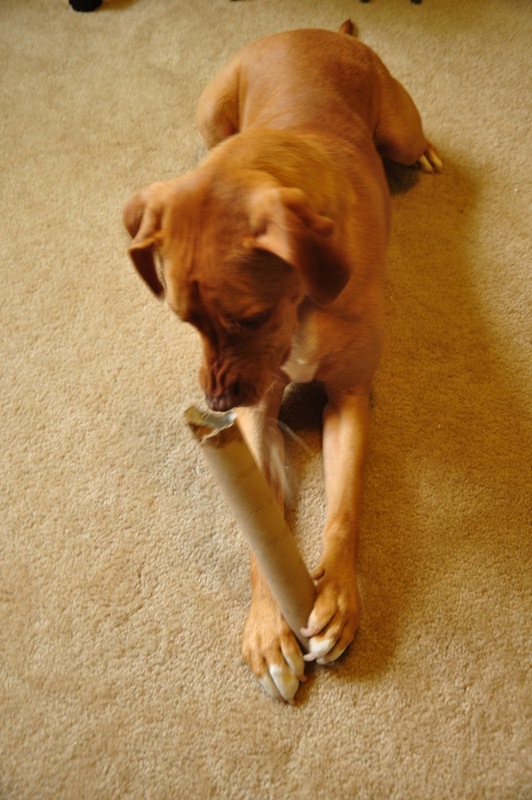 When I hand him a fresh paper towel roll, he takes the roll from my hand with an excited gleam in his eye and then prances off to his room, tail wagging the whole time. (Sometime Leo accidentally hits the door frame with the tube as he passes by and the sound makes me laugh every time!). This activity does make a bit of a mess, but I think the pieces aren’t too much of a pain to clean up—I even still recycle the cardboard as I normally would! For me, taking two minutes to clean up a small mess is worth it for Leopold to have a little bit of fun. This activity is not for every dog. Leopold is very good about spitting out every little piece that he tears off the paper towel roll, so this activity is safe for him. 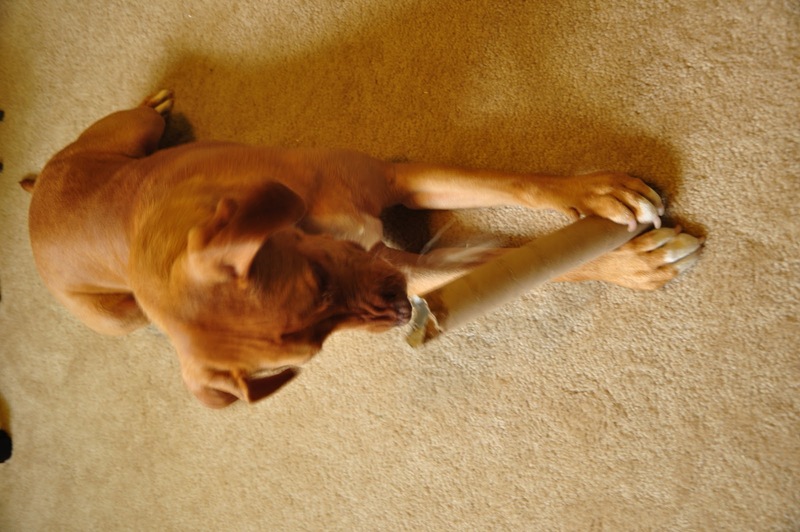 I wouldn’t recommend giving your dog paper towel rolls if they have a tendency to eat things they shouldn’t. I never give Halo paper towel rolls to chew on because she likes consume anything and everything—she’s like a little vacuum sucking up every little piece of paper and plastic on the floor. You know your dog(s) best, so help them play safe! 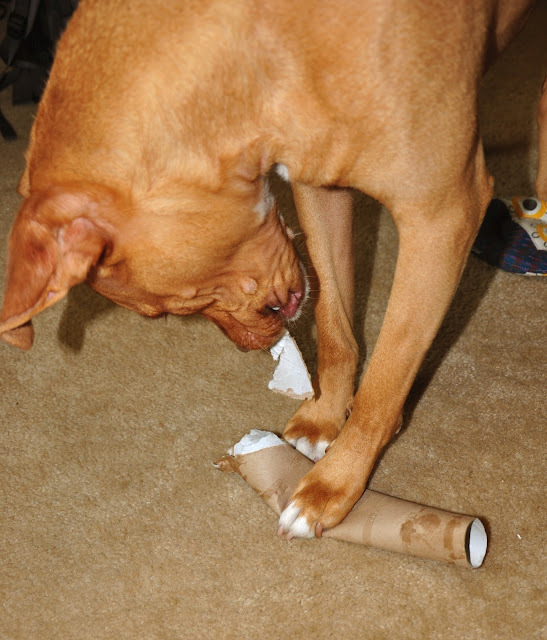 And if you’re unsure of your dog’s eating behaviors, supervise them very closely during activities such as shredding paper towel rolls until you do know. Although, as always, it’s a good idea to supervise your dog regardless.